Today, we're talking about something that gets debated on a regular basis by those in your organization who focus on the go to market side of the business. That something is price and more specifically, when sales reps should start talking about it. Some argue that if you talk about price too early in the process that you will scare your prospects away. Others think that if you wait too long, your prospects may get frustrated and neve really engage with you. Pete Caputa, VP of Sales at HubSpot, recently wrote an interesting blog post about what buyers and sellers want to talk about during the first call. As it turns out, buyer and sellers aren't on the same page. On the first sales call, 58% of buyers want to discuss price but only 23% of sellers do. Think about how you buy things. Before you get too far in the process, don't you want to know what the price is so you don't waste a lot of time thinking about something that doesn't fit your budget? Don't you think your prospects would want to know too? Providing pricing earlier in the process is scary to many sales organizations but it is clearly something prospects want to know. It is important that you provide them at least an idea of price with some context. For example, instead of giving an exact amount, provide a range and explain how the range is determined. Share with your prospect where you feel the price will end up...high end, low end, middle. Keep it an open conversation. But what happens when you're not able to have a conversation? In today's Zero Moment of Truth (ZMOT) world, prospects are having the conversation on their own...with your website. So the question becomes, should we post pricing on our site? While my opinion has changed on this over the last four years, my answer today is yes in most cases. 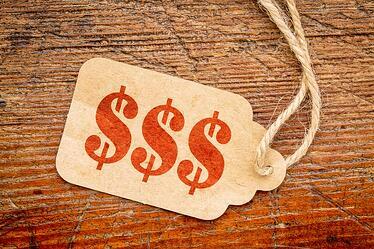 Include pricing on your website if it is simple. Do not include it on your website if it is complicated but do provide a method for prospects to find out what the price is. Add context about price or provide a form for them to complete. The key is people want to be comfortable understanding the basis of price. The bottom line is when you are discussing price, be sure you're creating context whether in an actual conversation or on your website.